The New York Giants have a long off-season ahead of them, particularly when it comes to solving the problems that currently plague the offensive line. For the Giants and general manager Dave Gettleman, fixing the line, and taking the salary cap into consideration will be a difficult task. Rumors have Gettleman linked to All-Pro guard Andrew Norwell in free-agency. He’s set to make the most in guard history according to reports around the community ($12-14 million). What does this mean for the rest of the line? If Norwell brings his talents to New York, the Giants will have to settle for lesser quality players on the rest of the line, unless they utilize their first-round pick accordingly. 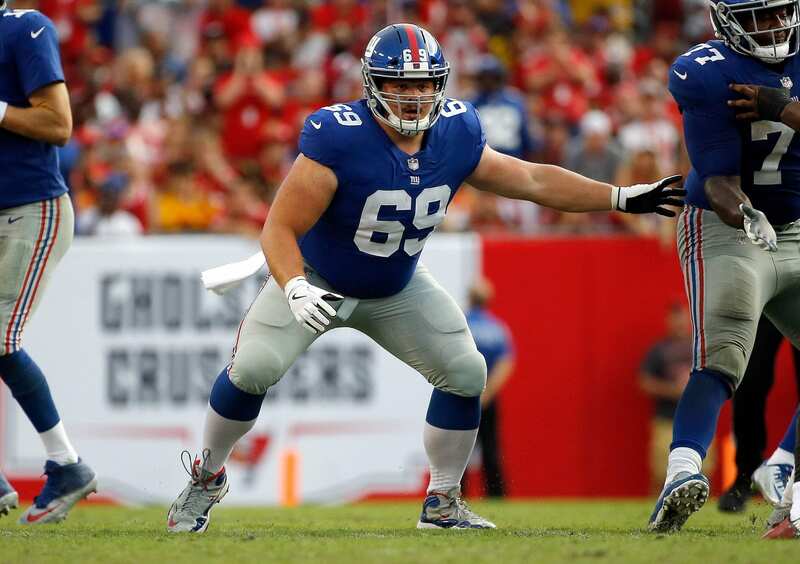 A quality player that is expected to remain on the team is Brett Jones; a bullish athlete that played well in the absence of center Weston Richburg. Jones is a great value player who can be utilized as a starter with a minimal cap-hit. He will likely cost somewhere in the $2-3 million per-season range. Even if he doesn’t manage to hold down the spot long-term, he can me a superb depth-player on the line. This is Jones’ current contract which expired this past season. He was only counting $6.15 million against the cap, which is minimal considering his abilities. Hopefully, he will remain on the team with a friendly-deal. The only other options outside of keeping Jones would be drafting a center in the later rounds or taking a flier on a veteran like Nick Mangold.